VB PARTNERS — is a boutique law firm specializing in White-Collar Crime and Dispute Resolution. The attorneys-at-law of VB PARTNERS law firm protect business structures and private clients in criminal proceedings, both in cases of their involvement in criminal proceedings by mistake or the threat of criminal prosecution, and in cases where the client is accused of committing a crime. Our key expertise includes investigation of fraud, money laundering, misappropriation of funds and assets, tax evasion and fictitious bankruptcy, abuse of office, negligence and illegal enrichment. We take a proactive stance in protecting victims/businesses from illegal actions. We have developed practice in the sphere of compliance and conduct our own corporate investigations, including with the aim of bringing dishonest partners, contractors and management of companies to responsibility. We have significant experience of protecting interests in anti-corruption cases and representing the interests of clients in the National Anti-Corruption Bureau of Ukraine. Our аttorneys-at-law are recognized as national experts in cross-border investigations, extradition and Interpol. The main directions of VB PARTNERS in the area of Dispute Resolution are commercial, banking, tax, shareholders and customs disputes. 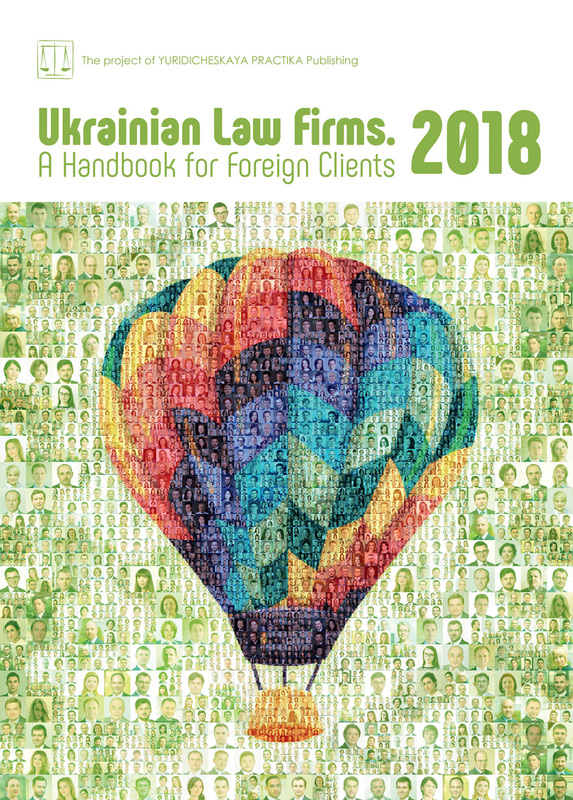 Within the last 5 years, VB PARTNERS has found itself in the TOP 50 of the best domestic law firms in Ukraine. The company’s partners are placed consistently on the list of leading specialists of the country’s legal market by the most authoritative international and Ukrainian market research, including Chambers Europe, Best Lawyers, Who is Who Legal, The Legal EMEA 500, etc. Our team has 12 experienced and progressive specialists who combine professionalism, innovation and possess the highest ratings. The clients of VB PARTNERS include shareholders and the top managers of large Ukrainian business, world corporations, banks, foreign investors, key government officials and private clients. Why can your account in a Swiss bank be blocked? Switzerland is one of the largest financial centers in the world. Reliable legislation to ensure the stability of the banking system, banking secrecy at state level and the high level of banking services attract investors from all over the world. However, in recent years, the “quiet harbor” is losing its aureole of absolute secrecy and inviolability of funds from the state of origin of capital. Due to the toughening of the requirements of anti-money-laundering-and-corruption legislation, control over customer transactions has strengthened, requirements on providing the information about the sources of income have increased, and cases of refusal to open accounts, as well as the facts of blocking funds on bank accounts are becoming more frequent. Moreover, this applies not only to Politically Exposed Persons, but also to ordinary investors, including respectable businessmen and top managers from Ukraine. In this article we will consider why and by whom an account can be blocked, what it means for the funds owner, what kind of blocking procedure is in effect in Switzerland and how you can unblock an account and return access to funds. Bank accounts are often blocked directly by the compliance department of a bank. The reason for this may be suspicious monetary transactions conducted by a client, lack of supporting documents, failure to cooperate with the bank in providing the sources of funds. The account may even be blocked due to random information on the Internet that a person is suspected in illegal activities in his homeland. It is increasingly common for accounts owners that the bank does not even notify them of the fact that an account has been blocked. The Swiss Financial Regulator (FINMA) has introduced specialized IT programs to uncover suspicious transactions. Banks receive a daily list of “anxious” operations for investigation. In case of suspicions regarding a client, his/her account is blocked by the bank. Furthermore, all banks are required to file suspicious activity reports with the specialized Money Laundering Office (MROS). MROS analyzes suspicious activity reports in connection with money laundering and makes a decision on extending seizure or unblocking the funds. Sometimes, in order to unblock an account, it is enough to provide explanations and respective documents. The bank usually sends the client a list of questions and documents, which need to be provided. However, in case of serious suspicion, MROS forwards the case to law-enforcement agencies for follow–up action. The Swiss Prosecutor’s Office initiates the respective investigation and notifies the Prosecutor’s Office of Ukraine. In such cases, an account may be blocked for years before the circumstances are clarified and court decisions in the case are adopted. However, there are also cases when the account is blocked by the bank at the request of the Swiss Prosecutor’s Office within the framework of international legal mutual assistance. We will look at such cases in more detail. First, the law-enforcement authorities of Ukraine initiate a criminal case and get information about the funds as deposited by a potential suspect (or related persons) on an account with a Swiss bank. They may get this information both as a result of investigative-operative actions (searches, seizures, secret withdrawal of information from e-mail, etc. ), and directly from their colleagues in other jurisdictions. Notably, the second way is becoming more and more popular. Recently, our law-enforcement authorities have established close and productive ties with foreign jurisdictions. Their European colleagues are happy to share information (sometimes at their own initiative) received from banks in the process of financial monitoring. Second, the law-enforcement authority, namely the Prosecutor-General’s Office, which is authorized to enter into international cooperation or the National Anti-Corruption Bureau of Ukraine (NABU), which acts independently, send an inquiry to the Swiss Federal Department of Justice with a request to take provisional measures to temporarily block funds. At the same time, a probe by the Ukrainian authorities should clearly indicate precisely which account should be seized. Otherwise, such an inquiry will not be considered by the Swiss authorities. Third, the Justice Department notifies the Swiss Prosecutor’s Office about the inquiry, which takes a decision to temporarily block the account. In particular, in accordance with Article 18 of the Mutual Assistance Act, Switzerland may take at the express request of another State, provisional measures to safequard threatened legal interests, including temporarily blocking the funds or protect property located in Switzerland to ensure their security until the circumstances are clarified in the country which made such a request. Consequently, in order to temporarily block the account, the Swiss Prosecutor’s Office needs to receive a request from the Ukrainian authorities and have reliable information on the bank account. Fourth, the Swiss Prosecutor’s Office sends the respective inquiry to the bank and issues, at the bank’s confirmation of the account’s existence, an appropriate order to the bank to block it. This means for the bank that it is no longer entitled to make any financial transactions on the account, including, to entitle the owners to withdraw or transfer money from the account. The Swiss Prosecutor’s Office also notifies the Ukrainian Prosecutor’s Office about such a decision and gives it an opportunity to provide an explanatory (more detailed) official request. The decision of the Swiss Prosecutor’s Office on temporary blocking of an account can be contested within 10 days in the Federal Criminal Court of Switzerland. There are no legal requirements as to the term of temporary blocking. The Swiss Prosecutor’s Office can set the term at its own discretion. However, with respect to Ukraine and other CIS countries such blocking usually lasts 90 days. If the Ukrainian Prosecutor’s Office does not provide an explanatory official request within this period, the account will be unblocked and the owner will once again get access to funds. — in case of receiving an official request, the Swiss Prosecutor’s Office decides to extend the blocking. The Mutual Assistance Act does not specify what exactly an official request from another state is. Most often, such a request is confirmed by a decision of a Ukrainian court to arrest the property in the case. However, the Swiss Prosecutor’s Office demands that such an official request contain the evidence of the link between illegal activities and funds on the account. That is why the very existence of a criminal procedure or a court decision is not sufficient grounds for final blocking. As mentioned above, the temporary blockage usually lasts 90 days. However, this term may be longer or shorter. It is at this stage that it is important to challenge its legitimacy at the Swiss Prosecutor’s Office. It is worth mentioning that the Swiss Prosecutor’s Office does not consider the merits of the case. Its task is legal assistance within the framework of the Mutual Assistance Act. Although Swiss prosecutors proceed from the presumption of conscientiousness of Ukrainian law-enforcement authorities, they are ready to take into account and consider evidence on unfounded requirements made by the Ukrainian Prosecutor’s Office. The legitimacy of actions, as taken by the Ukrainian authorities, may be disputed by providing evidence of violations of national procedural legislation, legality of seized funds, bias of Ukrainian bodies. That is why the most effective thing in such a case is the active work of a team of lawyers, consisting of Ukrainian lawyers involved in litigation in Ukraine and a lawyer residing in Switzerland who could represent, on the basis of a power of attorney issued by the client, the client’s interests at the Swiss Prosecutor’s Office. If the Swiss Prosecutor’s Office decides to extend the blocking, the opportunity still remains to challenge this decision within 30 days in the Federal Criminal Court of Switzerland. But in this case the client will need to get a Swiss lawyer, but this process is long and expensive, and these are borne by the client. Alternatively, you may seek a positive decision on the case in Ukraine, in particular: (1) to remove arrest from the property by an investigating judge in criminal proceedings, or (2) to consider the case on its merits — and withdraw charges. 1. While the account has not yet been blocked and the bank has not transferred information to MROS, and the bank has any questions to ask you, you should not avoid communication, but rather demonstrate maximum openness. It is advisable even at this stage to contact competent experts in the field of Swiss Banking Law who are able to negotiate with the bank on your behalf. 2. If you still receive a notice of funds blockage at the order issued by the Swiss Prosecutor’s Office, you should urgently contact your lawyers. They may get information about the reasons and grounds for this decision. The Prosecutor’s Office is open to procedural cooperation and, as a rule, there are no difficulties in such a situation. 3. At the stage of temporary blocking, it is important to challenge it and get it withdrawn before the expiry of the term of the temporary blockage. It is very important here to both cooperate with the Swiss prosecutor and develop a strong legal position in Ukraine. 4. Unless temporary blockage can be removed, it remains possible to apply to the Federal Criminal Court of Switzerland. This process may be delayed for a long time and will entail significant costs.